Where is the best wire pulling grips manufacturers located? 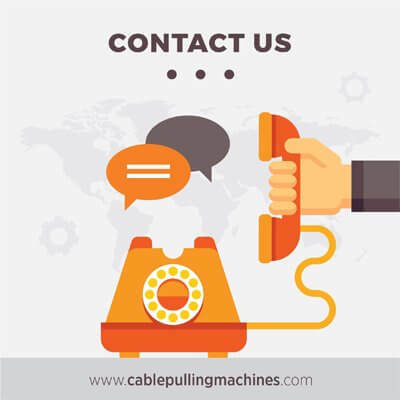 You are here: Home / Cable Pulling Winches Blog / Cable Pulling Machines / Where is the best wire pulling grips manufacturers located? Cable Pulling Machines and wire pulling grips are equipment’s that are in demand for a long time. They are in demand by construction companies as well as by commercial firms. This equipment’s have been designed in a way so that your job can be done in a convenient manner. Why are they in great demand? Wire pulling grips are available in a number of sizes for easy and smooth work flow. They are available in Open-ended galvanized cable pulling grips, Lace up galvanized cable pulling grips, Double eye galvanized cable-pulling grips, Fleeting eye galvanized cable-pulling grips and Single eye galvanized cable-pulling grip. The different kinds of grips have different efficacies and they are used for different kinds of work. Wire pulling grips, which are also known as cable stockings, or pulling socks are a great way to install electrical cables. Wire pulling grips are efficient and easy to use. They can be reused and can also be used to support or pull any kind of a cylindrical object within the grip. They are also known to be affordable and can easily be maintained as well. They are one of the best in the cable pulling industry. https://cablepullingmachines.com/wp-content/uploads/2017/03/cable-pulling-machines-logo-1.jpg 0 0 erkan1095 https://cablepullingmachines.com/wp-content/uploads/2017/03/cable-pulling-machines-logo-1.jpg erkan10952017-01-14 11:21:332017-01-03 11:21:47Where is the best wire pulling grips manufacturers located?